Having the right IT infrastructure for your small business is very important, small business do not have the budget or resources to setup an IT infrastructure that mimic much larger organizations with bigger pockets. Do you want to know how to setup up your small business IT infrastructure like an enterprise. 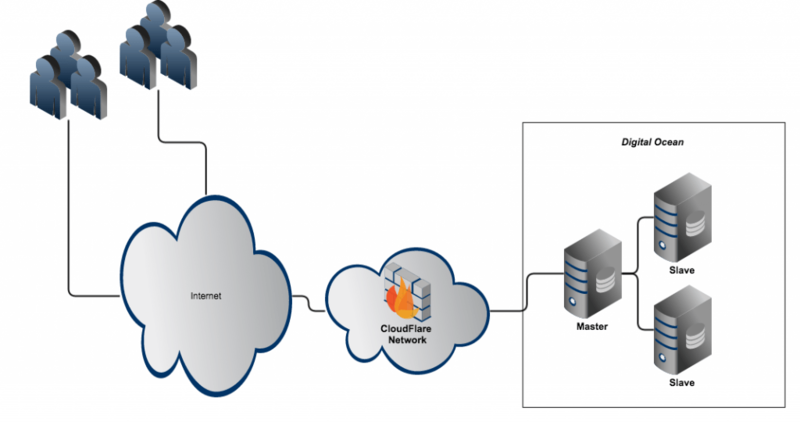 This article will discuss how I setup my IT infrastructure to run my business websites and what I pay monthly for the services I use. Lets first take a look at what I define as the minimum requirements to run a small business online and having the tools to communicate with potential customers, lets take a look at what my requirements was before I got started with my online business. To setup a scalable secure website, you would need to set up an IT environment that allows you to grow and have the security that bigger businesses have. Here are the minimum requirements to get a website online. Domain Name – To get your business online you need a Domain Name. Web Hosting- Hosting your website is important – if you are a do it yourself, then you can signup for your own server – if you are not there are hosting companies that offer you other choices. Web Platform – Selecting a platform for you business can be tricky, there are many options out there – what you need to take into account, is to define what your online presence is going to be all about, are you going to have one site or multiple site, will you be selling through your site. Your web platform can be anything from a simple single blog to a sophisticate multi site business offering. There are many platforms available to you, you might want to leave this to a web agency if you are hiring one to get you online. For database backup – you can have a function in your application that backup you database, or you can have a more sophisticated solution. What you need to think about is how quickly you want to recover from a server failure and be back in business. Security – Secure your website – using SSL certificate. G Suite gives me everything out of the box that I need. Setting up G Suite is straightforward, you sign up for the service and it is provision for you immediately. 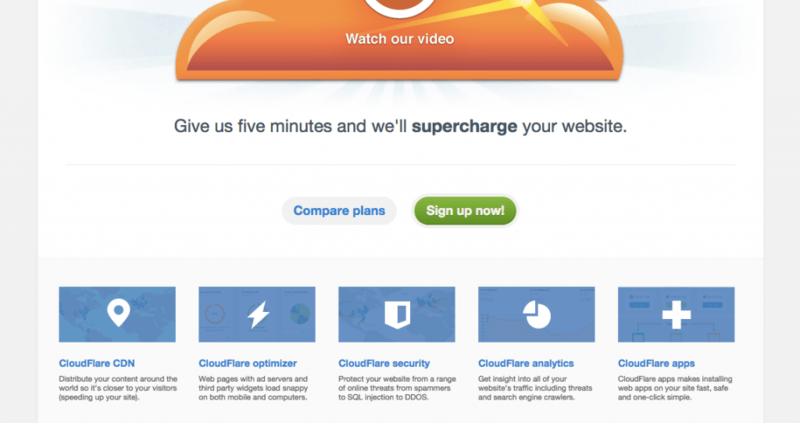 Getting a domain is very easy nowadays, in my case I choose Go Daddy and for domain management I choose CloudFlare. For Domain name there are many options out there, you might want to look at a hosting company that gives you a free domain name with the hosting. For my web hosting needs I choose Digital Ocean, I’m a hands on guy so I know what is required to manage your own server. I also choose to use CloudFlare – CloudFlare provides me with many IT infrastructure services such as domain management, caching, firewall, analytics, crypto (SSL). My server architecture is outlined below. For web platform I choose WordPress, WordPress has evolved over the years and is now a solid web platform where you can run all kind of application from just basic blogging, a community site to selling products online. For my own requirements, I had the need for 3 websites, so I have setup WordPress as Multi Site – which means that I can launch any number of site from one single platform. I operate an online store that sells WordPress plugins, a community site for cyclists to my own blog. You can read this article I wrote about what to not forget when launching a wordpress site. For application backup I’m using git on my servers to push and pull any changes I do like adding a new plugin or a plugin update. Only new code is deployed on my staging host where I test all the changes, I then GIT to push the code to my Github Repository, and then I pull the code from my Github Repository to my production environment. For Database backup – I have a two phase approach. 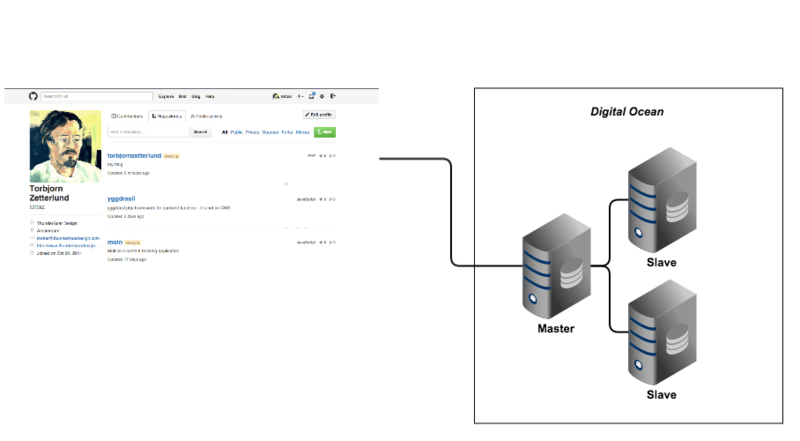 I have deployed MySql Database replication, so my staging host has the same database content as my production, the staging holds my live database backup. I also use a WordPress plugin that takes a daily backup of my database, emails me the database backup which I then store on my Google Drive account. 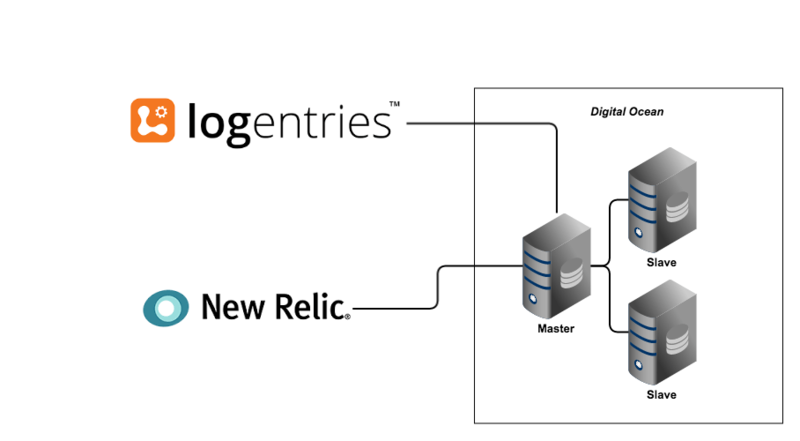 For monitoring my servers I have chosen two providers New Relic and Logentries. New Relic offers the tools to monitor the state of my applications, New Relic sends an automated alert to me when my servers become unavailable. Any server that run any type of applications has several log files, analysing these log files can give you visibility into your servers – in the past you needed a developer to get access to your logs. 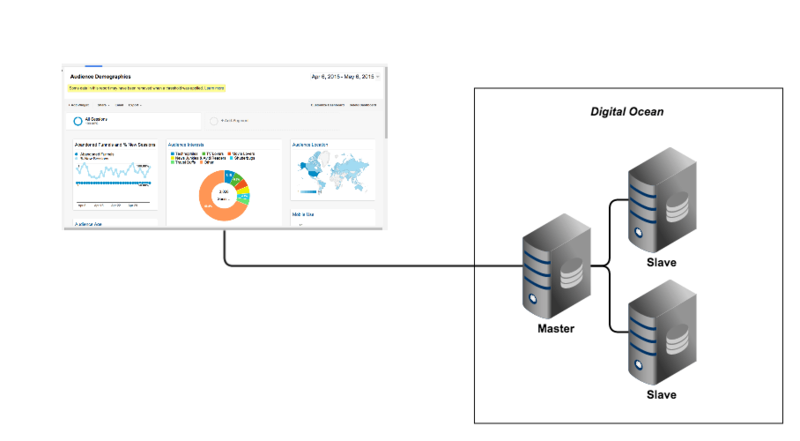 With Logentries this has changed, you can now analyze your server logs in real-time. With the Logentries custom tagging you could easily spot errors as they occurred. One important aspect of running a website is to know who visiting your websites, In my case I’m using Google Analytics that is tracking site visitors to my site. Deploying CloudFlare in front of my web server provides my with many levels of security, CloudFlare also provides me with a SSL certificate. When you setup your servers for WordPress, you need to think about setting up page caching – this article that I wrote recently explains how to setup caching on your server. My yearly cost is US 690 that comes to US 57,50/month – that is what it will cost you to get started running your business with online presence. I have broken down the cost based on the services I’m using. All prices is in US dollars. What is not factored in is my own time, how do you value your own time and how much time do you put in. In my cases I did all the work myself, there was no upfront fee to set up any of the service that I’m using in my IT infrastructure. If you find this article interesting, please comment below. Do you need advice or help to get your business started online, get in contact. Excellent Article. Thank you very much for such an outstanding article. I truly wanted to make a simple comment in order to say thanks to you for all the stunning tricks you are writing at this site. My considerable internet search has finally been recognized with beneficial knowledge to exchange with my friends and family. I’d mention that many of us site visitors actually are quite endowed to live in a fantastic place with many outstanding individuals with very beneficial tactics. I feel very happy to have encountered the web site and look forward to so many more fun moments reading here. The post is really good. It covers almost every point but don’t you think there should be more focus when it comes to hosting your domain and all your important files? The way we are getting news about cyber hacks, I think better not to opt for free hosting and CloudFlare isn’t the only option. There are some Saas and Isaas products which works best for entire office management and cyber security is on their top of list. Hope you consider this. I agree there are other Saas and Isaas service that work well in specific business settings. I advice on what has worked well for me, if we look from a cyber security perspective there are better options for some areas, I’m looking at the Google Cloud Platform as an alternative to host my websites. What do you have in mind as better service for entire office management and cyber security? Hi Torbjorn! Thank you so much for this information as we are a very small company that has very little resources and after getting a few quotes it’s almost impossible to get around the do it yourself approach. This is just what I needed right now. Hey Torbjorn! Great article! Really clear steps to getting your one man online business up and running but what about when you have more people join your team? 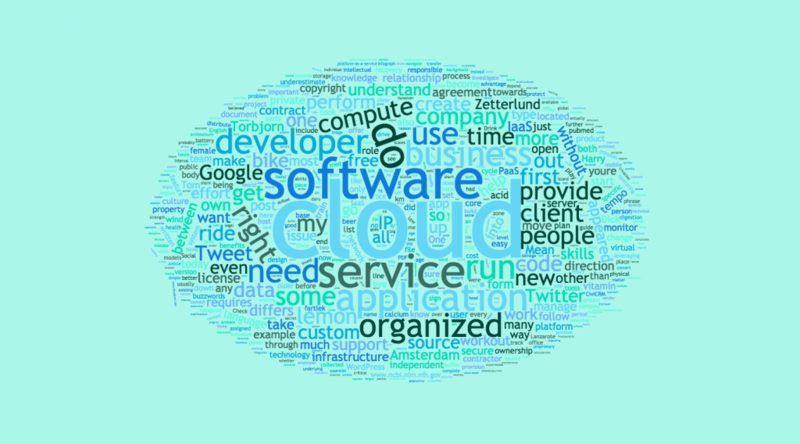 Do you use a centralized cloud server for apps and data or do you only use SaaS tools like G Suite etc? I found this article and was thinking of getting a cloud server as we have desktop applications we use in the office and I want to be able to use them on the road – https://community.myquickcloud.com/things-to-consider-when-choosing-your-small-business-it-setup/ Any thoughts? I only use G Suite and the Google Cloud Platform (GCP), I don’t need to worry about networking, access, scalability. Works on laptop, mobile and accessible from anywhere as long as you have a wifi connection or a good data plan on your mobile. You can add users. I still run my WordPress site on digital ocean, I have plans to move it to GCP. I use G Suite SSO to easily access the admin site of my WordPress site.